Let’s take few minutes out of our very hectic schedules and look back at M.Night Shyamalan’s The Happening one more time, but this time through the eyes of the auteur’s fan. Ever since the film’s release back in 2008, I wanted to write about this movie. You are probably wondering why am I a writing this now and what took me so long. I honestly changed my mind to write about it, but since most of the critics and people all over the internet is going totally negative about the filmmaker, I thought to have everyone to look back at the film. The Happening is a thriller written, co-produced and directed by M.Night Shyamalan that follows a man, his wife, and his best friend along with his friend’s daughter, as they try to escape from an inexplicable natural disaster. The plot revolves around a mysterious neurotoxin that causes any person coming into contact with it to commit suicide. – Okay, so many laughed and still actually poking fun at this film’s plot. I remember the first day the film opened and me right there sitting in a dark room with other strangers watching the film, I hear some people actually talking with themselves wondering on what’s going on in this film? I view films differently may be that’s why, but the plot is not funny. I find it very interesting instead. If have you seen Alfred Hitchcock’s THE BIRDS, they go crazy for some unexplained reasons as well. Now, I am not comparing Shyamalan with Hitchcock, the reason I am bringing THE BIRDS as an example, for Shyamalan, on March 15, 2007 described The Happening as “a paranoia movie from the 1960s on the lines of The Birds and Invasion Of Body Snatchers. About fews days ago Mr. Mark Wahlberg, the leading man in The Happening bashed and slammed the film while promoting his upcoming boxing movie “The Fighter.” I respect Mr. Wahlberg, he is a fine actor and one of my favorites. I was really excited when he signed the dotted lines to work with Shyamalan. Of course, after reading the script. I am confused on why he would bash the film while trying to promote his new movie. Or may be, he’s being sarcastic and he realized this that may be someone will ask him a question in regards to The Happening since he is promoting his new film. You can read the article here. And, last time I checked, I thought Max Payne was painful to watch. There are good things to say about Shyamalan’s The Happening. 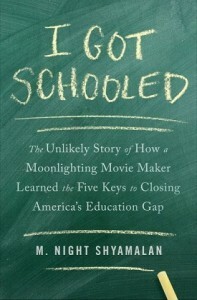 Shyamalan stated in one of his interviews that in United Kingdom they are teaching the kids in school about the film’s subject. I am trying to bring in positive points here. Lots of negativity is pouring in from everywhere. I don’t know why they are picking it against Shyamalan. And most of these remarks sounds that they are taking it personal. If you are calling The Happening the worst film, then I am sorry for being straightforward, you just haven’t seen many films yet. I would love to read the comments below. Give us your opinion. And, thanks to Wikipedia for the coverage. 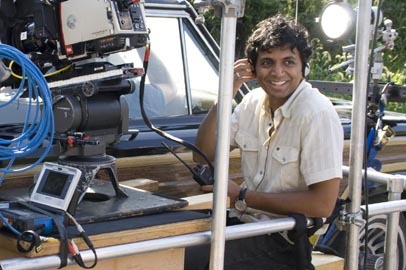 You can also discuss with us all Shyamalan’s films and his upcoming projects on our facebook page, twitter and also with me personally via my twitter here. Shyamalan is a genius. With an English Lit degree under my belt, stories (text and visual) that lends themselves to layers of analysis are like candy, and he supplies. His gift of writing touching relationships into thrilling/scary/complex story lines is incredible…but The Happening was a stinker, and I’ve always thought that a large part of that, actually, was atrocious acting, line delivery, and unbelievable emotional delivery by Wahlberg and Deschanel. Might it have taken at least a slightly better turn with different actors? The Happening is a movie that tells us that some strange events that happen in the world would never be explain. That was the whole point in the movie, and also the movie teaches us what people can do when there is no explanation for what terrible could happen. M. Night has made a good film that you don’t see too offend in hollywood today. He deserves praise for this project and hope he will continue on this path. I love all of Shyamalan’s films. My favorite is Lady in the Water. I can’t understand why people dislike it so much, its a beautiful movie. I do like the message in The Happening, its an important one. The Happening is a good storey , a very good idea poorly acted out. 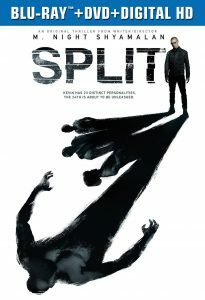 Wahlberg is not a great actor and did not fit the part at all!.But i think in some weird way Shyamalan wanted that B movie feel with poor acting and a sense of paranoia.For me it works.It took me awhile to appreciate the movie for what it is, a B movie.Does it deserve the hatred?NO WAY! Worst film ever?NO WAY!.Shyamalan will have better films but lets just say its 3/5 movie. It is the lack of vision on the part of the viewer that gave The Happening such bad press. One day the general population will elevate to a level where they can truly appreciate the genius of M. Night. Consider the mindset that conceived such a concept and the challenge he faced in order to act it out in a commercial venue. Anybody can through some flesh-eating zombies on the screen but very few can enact a scenario where mankind has to fear GRASS. Think about it!